The Moon Festival, also known as the Mid-Autumn Festival or Mooncake Festival, is held on the 15th Day of the eighth month of the Chinese calendar, which means that this 2012 it will fall on September 30th. 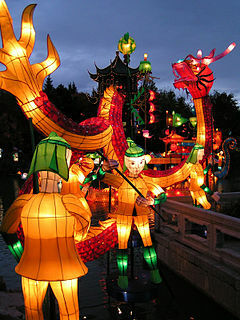 The popular lunar festival, celebrated by the Chinese as well as the Vietnamese, represents the end of the fall harvest. Though popularized during the early Tang Dynasty, the Moon Festival first appeared in a written collection of rituals of the Western Zhou Dynasty, called the Rites of Zhou. In 2008 it became a public holiday in China and since has become on in in Taiwan as well. 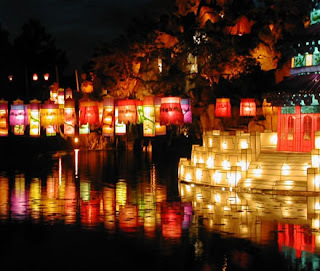 Many customs and traditions come with celebration, such as eating mooncakes, floating sky lanterns, carrying brightly lit lanterns, and burning incense. Other traditions include matchmaking, where dances are held for young men and women in hopes of finding a partner, and Fire Dragon Dances. The traditional icon for the festival is the Moon rabbit. Due to the rich history and culture imbedded within the festival, it is no surprise that the Moon Festival is one of the most important traditional events for the Chinese. It is the perfect time for family reunions, a time when families can gather together to watch the full moon, sing moon poems, or eat moon cakes. It can also be a romantic time, couples can spend a romantic evening together drinking wine and eating moon cake while sitting under the full moon. 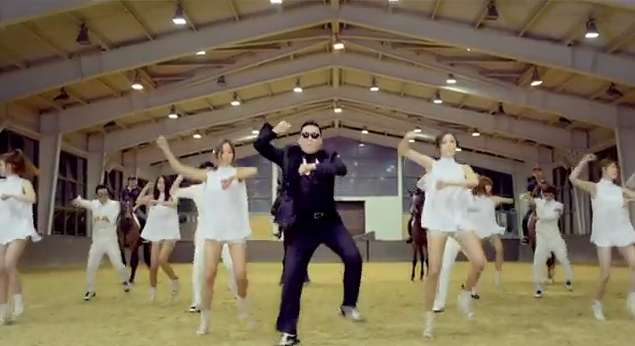 K-Pop artist Psy is making history with his new hit 'Gangnam Style' in not only South Korea, but around the globe. No other K-Pop artist has been able to compete with IU's track 'You and I" which was on the top chart for a solid five weeks -- until Psy came along. He is now tied with IU and as the 6th week mark grows closer, he may find himself the number one artist on the K-Pop Hot 100. And this track isn't just blowing up in South Korea, it has crossed international language barriers, finding itself number two on the YouTube Music Chart. Coming only after Carly Rae Jepsen, Psy is ahead of Justin Bieber, One Directions, and Katy Perry's music videos with an astonishing 60 million views, which continues to increase daily. For more on K-Pop, please visit Fujimini Island on Facebook and Twitter. His new track and dance video features an easy-to-learn dance to a trendy electropop beat. 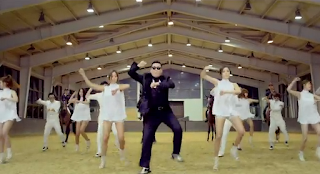 Many writers are calling Gangnam Style the breakthrough track for K-Pop in the United States. Psy has shown an interest in increasing the track's popularity in America with several appearances on TV discussing the music video and showing off his dance moves.Some believe in order to truly breakthrough to the States, a follow up hit and a successful tour are necessary, but others think the 60 million views speak for itself. Either way, this is definitely a great time for Psy and a great time for K-Pop! To learn more about the cultural and diversity taught at Fujimini Island, please click here. Just as in America there is Valentine's Day, the Chinese also have a day dedicated to love and romance. The Chinese Valentine's Day, referred to as Qi Qiao Jie or the Seventh Eve, occurs on the seventh day of the seventh month of the Chinese lunar calendar. Although, there is not the typical exchange of flowers and chocolates that is associated with the American version of Valentine's Day, there are still many romantic customs and gestures associated with this day. To learn more about the themes of Asian culture and diversity, please visit Fujimini Island, find Fujimini Island on Facebook, follow Fujimini Island on Twitter. In the past, colorful "shrines" made of paper, fresh fruit, and flowers are put up in as a tribute to the first two lovers of Qi Qiao Jie. There are two legends which surround the origins of Chinese Valentine's Day. Both involve the position of the stars on the seventh day of the seventh month in the Chinese lunar calendar, which falls on August 23 this year. On Chinese Valentine's Day, many lovers lie together and gaze at the star Vega, east of the Milky Way, a tradition that comes from one of the legends that created Qiao Jie. We produce and create Asian centric stories to blend society of the East with the West. To learn more about Asian themes, please visit ONCEKids Publishing. The legend says that Niu Lang and Zhi Nu were fairies that lived on opposite sides of the Milky Way. They were quite lonely and the Jade Emperor of Heaven felt sorry for them, so he attempted to bring them together. Nui Lang and Zhi Nu became so love sick for one another that they spent every moment together and began to neglect their work. The Jade Emperor became annoyed at this, so he made a new law that the couple could only be together for one day of the year- the seventh night of the seventh moon. To learn more about this article and Eileen Wacker's acclaimed book series, visit ONCEKids, ONCEKids on Facebook, ONCEKids on Twitter. 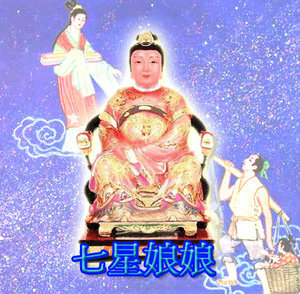 The second legend says that the seven daughters of the Goddess of Heaven caught the eye of a Cowherd during a visit to earth. The most beautiful daughter, the seventh born, caught the eye of the Cowherd, Niu Lang. Niu Lang decided to have a bit of fun by running off with the sisters' clothing. The seventh daughter took it upon herself to ask for their clothing back. After, Niu Lang and the daughter, Zhi Nu, were married. The couple lived happily for several years, but eventually the Goddess of Heaven missed her daughter and demanded she return to heaven. Despite her demand of a return, she took pity on the heart broken couple, and allowed them to be reunited once a year, the seventh night of the seventh moon. History continues to be made at the 2012 London Olympics with a victory by Erick Barrondo. The 21-year-old one a silver medal in the men's 20km walk, finishing behind China's Chen Ding. 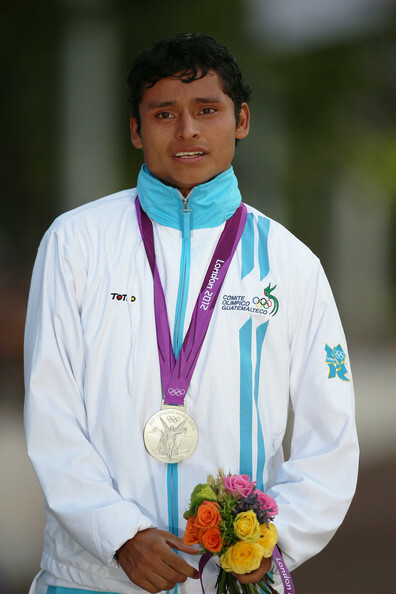 This achievement marks the first ever Olympic medal for Guatemala, who have been in the Olympics since 1952. Barrondo speaks about his victory saying, "I can't believe it; I am very happy. I have made history for Guatemala. I thank my coach and all the people who supported me and who helped me achieve this victory." To learn more about themes of culture and diversity, please visit Fujimini Island, find Fujimini Island on Facebook, follow Fujimini Island on Twitter. Guatemala's President Otto Perez Molina called Barrondo to congratulate him on his race and medal. Barrondo further comments about his race saying, "It was a glorious day for me, but the glory is most of all for my country. The president congratulated me on the first Olympic medal for the country. He told me that everyone had come out on the streets to celebrate the triumph." It is a proud summer for Barrondo and Guatemala! ONCEkids Publishing celebrates the achievement of a small country winning their first medal in the very competitive Olympic games!